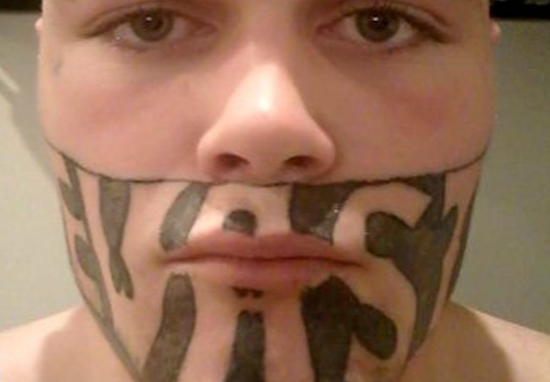 The man who complained he couldn’t find work due to his gigantic ‘Devast8’ Face Tattoo has denied turning down 45 job offers, and is working towards reforming himself. 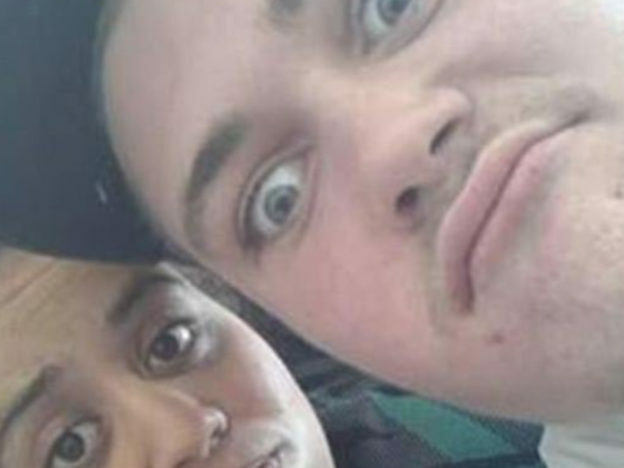 After taking to social media on Wednesday to plead for a chance to work, 19-year-old Mark Cropp was swamped with job offers, however he is still waiting on the right opportunity. I am just waiting for the right one to come about. 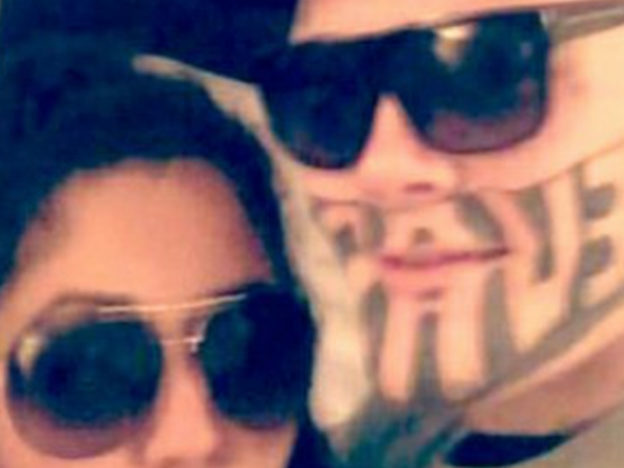 Mark turned to Facebook after prospective employers openly laughed at his unusual face. The very next day, Mark met with Herald Focus, and Mark’s plight quickly reached sympathetic people across the globe, who empathised with Mark’s desire to turn his life around for the sake of his daughter. Events quickly began to snowball and Mark became an overnight celebrity, fielding hundreds of Facebook friend requests as well as opportunities to be interviewed on the radio. He has even been asked to write blog posts and be the subject of a book. Mark was even kindly offered a free tattoo removal from a Kingsland Tattoo Parlour, an offer that he was only too happy to accept. The removal process is set to begin next week and Mark will finally be rid of the constant reminder of his troubled past. Mark was arrested while his partner was eight months pregnant for threatening a tourist with a knife during a drug deal gone wrong. He served two years and three months. I regret what I did, you know. People shouldn’t have to come to New Zealand and have that put upon them. I apologised 100 per cent and asked for restorative justice with them. If I could turn back time, I would. 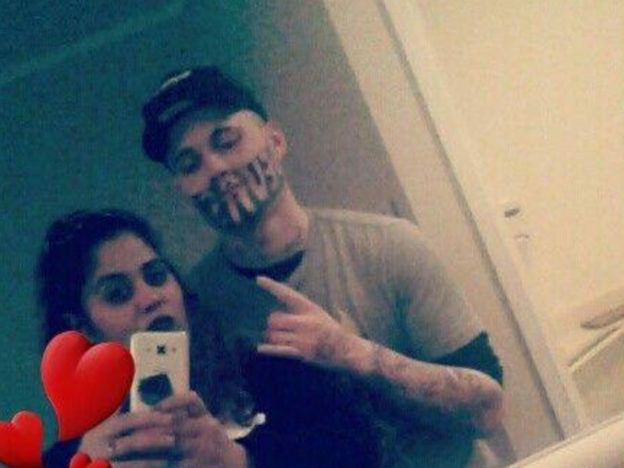 His brother gave him the tattoo while he was serving time in jail, in the hope that it would scare off other prisoners. They were both drunk on hooch at the time. The tattoo was inspired by his former nickname ‘Devast8’. You know there was a long time there where I would devastate everything I touched. I would end up devastating everyone I met or got close to. They would be disappointed with something I had done or said – I was always hearing ‘that’s devastating’. Mark has admitted to his difficult upbringing, and does not want his daughter Mariah Jane to experience the same sort of childhood that led him down a criminal path. 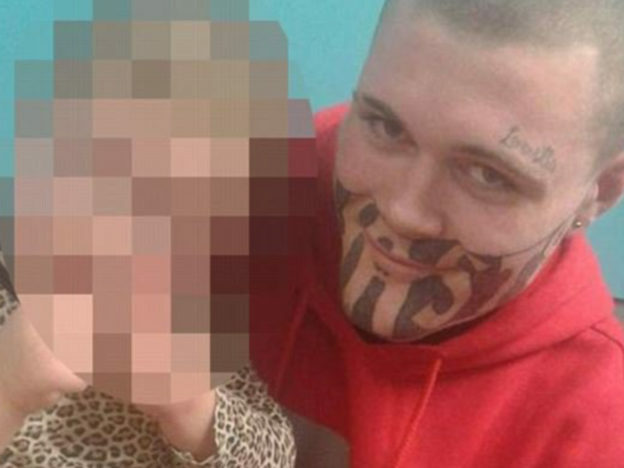 His new found fame has led to employers thinking twice before dismissing him as a heavily tattooed criminal. After getting employers to finally see past his intensely noticeable ink, Mark is now facing a new set of hurdles. Some of the job opportunities he has been offered would need him to have his own car, something that isn’t yet possible. Mark is now considering taking up a scaffolding job, although he now has to wait for his probation officer to give the all-clear. Hey Mark Cropp …Get a few more tats & work at Harley-Davidson …You would fit right in! Just a suggestion buddy! ? It takes real courage to admit that you have made mistakes and to want to change yourself for the better. We really hope that Mark is able to make a fresh start as a hard-working role model for his daughter.